For tenured teachers, this isn’t much of a problem, although there is a growing movement against tenure. Whether you have tenure or not, if you want to be a game changer, you must stop thinking about losing your job. I’ve never heard of a teacher being fired for doing what’s best for kids. Susan B. Anthony risked her life to vote. The least teachers can do is risk temporary unemployment to change children’s lives. When the world hears you saying over and over again that you are going to do what is best for children, your voice becomes remarkably powerful. Steve Jobs never said, “We have to do what everyone else is doing.” Jobs believed in being first, in creating what others couldn’t see. When people said something couldn’t be done, it was usually because no one else was doing it. Jobs saw what established techies didn’t see, and he created it. When people say, “We can’t do that,” jump to a new fishbowl. Those who aspire to greatness will follow. Hundreds of years ago when teachers were writing directions and examples on individual student slates, James Pillans wondered, What if we built one large slate board, big enough for all students in the room to see? The blackboard was born and classroom instruction worldwide changed. What if you stopped assigning traditional homework? What if you used mobile devices in class? What if you never grade another activity, project or test? 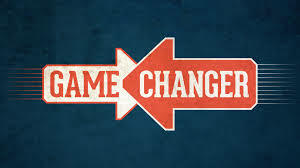 Would you be a game changer? Would your students change? Teachers constantly tell me that their principal says they have to give weekly tests or they have to assign nightly homework or they have to log a grade into an online grade book. How should this be handled, they ask. Simple. Say No! Tell education stakeholders that you intend to do what is in the best interest of every student in your classroom. If they push back, stand your ground. Be persistent and be loud. When the world hears you saying over and over again that you are going to do what is best for children, your voice becomes remarkably powerful. You become a game changer. It’s possible that you won’t live to see victory. Susan B. Anthony died decades before women won the right to vote. Without her, though, woman might still be relegated to ankle-length dresses and a life in the kitchen. Someone recently said that a no grades classroom is unrealistic; when I brought up the suffragettes, he said, “look how long that took.” Game changers never think about winning the battle; they fight until it’s won or until they die, knowing someone else will carry the torch when they’re gone. Click on the link to read Some Teachers Never Change … Literally! Click here to read my opinion of ‘child centered learning’ vs ‘teacher centered learning’. Click here to read my opinion on the problem with IT in the classroom. Click here to read my opinion on the standard of teacher training. I am a big advocate for encouraging children to think for themselves. I have no desire to brainwash my students or have them align their thinking to my own worldview. On the contrary, little gives me more pleasure than watching my students reach their own conclusions and engage in a robust exchange of ideas. On the flip side, it can be a bit disappointing that many children are so used to being spoonfed and mollycoddled , that it is becoming quite rare for a young child to form their own ideas. A North Carolina high school teacher was captured on video shouting at a student who questioned President Obama and suggesting he could be arrested for criticizing a sitting president. The Salisbury Post, which first reported on the YouTube video, did not identify the teacher in question, who is reportedly on staff at North Rowan High School. The video does not show faces, but the heated argument in the classroom can clearly be heard. The argument started when the classroom began discussing news reports that Mitt Romney bullied a fellow student when he was in high school. According to the Salisbury Post, the teacher is still employed and has not been suspended. In my opinion, the look that children give when they receive a gold star is misleading. Sure, they look excited, but that excitement is sometimes relative. 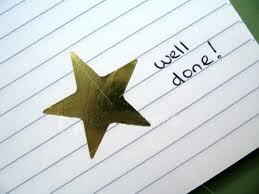 In truth, kids don’t need gold stars and essentially, that is not what they are after when they produce good work. What they really want is something – anything. They want a compliment, a smile, a gesture that will make them feel better about themselves. School can be such an overwhelming place. Teachers are so good at being critical. Critical of the way students dress, sit, answer back, talk, the speed in which they work, the neatness of their handwriting etc. The gold star doesn’t just signify an achievement of sorts, it breaks the cycle of criticism and balances the ledger somewhat. As teachers, we need to be aware that our students crave our acceptance and approval. They may superficially be doing this by trying to earn a gold star, but essentially, all they really want is a confidence boost. 1. Be specific. Vague praise doesn’t make much of an impression. 2. Find a way to praise sincerely. It’s a rare situation where you can’t identify something that you honestly find praiseworthy. “Striking” is one of my favorite fudge adjectives. 3. Never offer praise and ask for a favor in the same conversation. It makes the praise seem like a set-up. 4. Praise process, not outcome.This particularly relevant with children. It’s more helpful to praise effort, diligence, persistence, and imagination than a grade or milestone. 5. Look for something less obvious to praise – a more obscure accomplishment or quality that a person hasn’t heard praised many times before; help people identify strengths they didn’t realize they had. Or praise a person for something that he or she does day after day, without recognition. Show that you appreciate the fact that the coffee’s always made, that the report is never late. It’s a sad fact of human nature: those who are the most reliable are the most easily taken for granted. 6. Don’t hesitate to praise people who get a lot of praise already. Perhaps counter-intuitively, even people who get constant praise – or perhaps especially people who get constant praise – crave praise. Is this because praiseworthy people are often insecure? Does getting praise lead to an addiction to more praise? Or – and this is my current hypothesis – does constant praise indicate constant evaluation, and constant evaluation leads to a craving for praise? 7. Praise people behind their backs. The praised person usually hears about the praise, and behind-the-back praise seems more sincere than face-to-face praise. Also, always pass along the behind-the-back praise that you hear. This is one of my favorite things to do! Now that I’ve been teaching 10 years and I’ve mastered my subject area and the pedagogy of how to teach and reach every child’s learning style, I’m able to focus on the interpersonal things that make a big difference. Administrators, school boards, and districts may see numbers, but numbers are not children. No child is a number. Children have names and hobbies and interests and family lives. Children are individuals and it is my job as a teacher to help them find their unique talents. I want to be the one that helped them on their journey of self-discovery. 2- Tell your students what they need to hear not what they want to hear. I’m not here to be popular, I am here to teach. I am here to love these kids and to do what is right by their future selves. I believe I have succeeded when my students come back in 10 years and thank me. Sometimes they think I’m tough now and they groan, but I know that I’m doing right by them. 3- Take time to think about individual students. One of my heroes is the director of our learning lab here at Westwood, Grace Adkins. Every weekend she carries home a folder with the learning profiles, test results, and current work of 3 children who she works with in the lab, and she has been doing this for 60 years. She studies her students like a college student studies a textbook. She has doctors, lawyers, and bankers who credit her with helping them learn how to learn. 4- Learn to teach using many modalities. Lecture may be ok some of the time, but it is never ok to do this all the time. Good teachers learn about pedagogy, the methods used to teach. Yesterday, I had a student dress up in a chef’s outfit with a mixing bowl and a recipe book with labels on everything to teach how microprocessors work. When I finished, my students said, “that is easy to understand.” A good teacher can demystify a complex topic and make it simple to understand. 5 – Let your passion come through. If you love your topic, it will come through in your voice, your body language, and everything you do. There are times I’ve loved one subject more than another, but I can always get excited about teaching a child something for the first time that I know is valuable. I think it is important to let your own personality come through in your teaching. The greatest challenge of teaching is reaching as many children as possible. Touching every student is an impossible task — but every moment in our lives as educators brings new opportunities. I absolutely love this list. I think they have nailed some of the most essential methods for maintaining a strong connection between teacher and student. 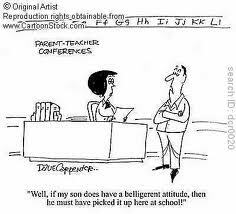 One of the most important skills of a successful teacher is the ability to harness positive interactions with parents. I believe that a teacher must consider themselves part of a team. After all, the parents and teacher form the three major stakeholders in a child’s education. Such a notion is supported by expert Karen Campbell. A GOOD parent-teacher relationship is important to every child’s learning journey and helps develop a memorable school experience. That’s the opinion of Sunshine Coast education expert Karen Campbell. And like any relationship, she says these need nurturing and constant attention to be of benefit to the child. With the new school year only a week away, many parents may be meeting their child’s teacher for the first time. “Parents have to realise that a teacher is such an important part of their child’s life,” Mrs Campbell, a tuition facilitator and former teacher, said. “They need to introduce themselves to the teacher, and tell the teacher any special things about their child. “Open communication is essential, so it’s important for parents to inform the teacher if there’s a problem at home such as a death, break-up or business failure. Not all parents are easy to get along with and some employ methods that are not exactly to my liking, but I realise that a disconnect between myself and the childs’ parents is potentially destructive to the academic progress of the child. It is important to work past any differences one may have and find common ground in the best interests of the child.